Health officers have rejected analysis which suggests more than 10,000 people could be waiting longer than four hours to be seen at Hereford County Hospital in three years’ time. Not-for-profit campaign group 38 Degrees has looked at trends in waiting times in accident and emergency departments across the country based on the last 5 years. They say figures for last year suggest 12,406 people had to wait more than four hours to be seen to at Wye Valley NHS Trust. The campaign group fears if trends continue, 10,698 more people could be waiting more than four hours to receive treatment in A&E in 2022/2023. 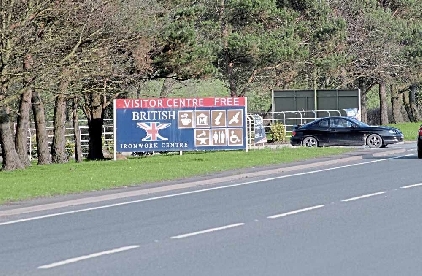 A spokesperson for 38 Degrees said: “Wye Valley NHS Trust is already one of the worst performing trusts for A&E waiting times in the country and by 2023 this could be much worse. “Prime Minister Theresa May and NHS England announced their 10 year plan for the NHS, which does not commit to meeting NHS key waiting time targets for visits to A&E and routine operations, like hip replacements and cataracts surgery. “It follows the Royal College for Emergency Medicine issuing a stark warning that cancelling 4 hour A&E waiting time targets would ‘have a near catastrophic impact on patient safety’ in A&Es. More than 100,000 members of the public have signed a petition by the group calling on Prime Minister Theresa May to commit to meeting NHS waiting times targets. Trish Murray, Campaign Manager at 38 Degrees, said: “10,698 more people spending hours in A&E waiting rooms. This isn’t the NHS plan patients across the country were waiting for. 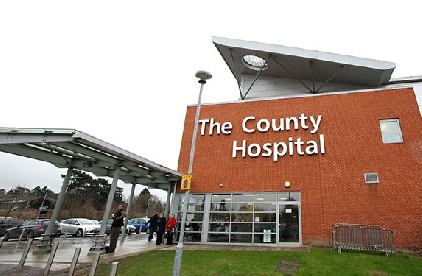 A Wye Valley Trust spokesperson said they strive to hit their targets and much work has taken place to improve the flow of patients through the Emergency Department. “We have created extra assessment areas, have increased the number of senior medical staff and just before Christmas we opened our new Acute Medical Unit which is already having an impact on patient flow,” he said. “It would be a mistake to assume that the trajectory of our current performance will simply continue in a straight line – we are continuously evaluating and reviewing our performance as we seek to hit the four-hour target.